Paul H. O’Neill served as 72nd Secretary of the US Treasury from 2001 to 2002 under George W. Bush’s presidency, a period when the economy was in the midst of a sharp slowdown. Due to his public disagreement with the administration’s economic policies — primarily its belief that tax cuts are the answer to stimulating the economy — he was asked to resign in December 2002. O’Neill is a founder of Value Capture, LLC, where he provides counsel and support to healthcare executives and policymakers who share his conviction that the value of healthcare operations can be increased by 50 percent or more through the pursuit of perfect safety and clinical outcomes. In addition, during a time when strategic advice on healthcare decisions was needed, O’Neill’s 2007 Op Ed published in the New York Times discussed reluctance among politicians to address comprehensive reform in the U.S. health care system. In the opinion, he suggested that doctors and hospitals should be required to report medical errors within 24 hours, as well as moving malpractice suits out of the civil courts and into a new, independent body. Health care reform, he argued, must take all aspects of the problem into simultaneous consideration. He began his public service as a computer systems analyst with the U.S. Veterans Administration from 1961 to 1966 and served on the staff of the U.S. Office of Management and Budget from 1967 to 1977. He was also deputy director of OMB from 1974 to 1977. 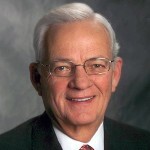 He later served as chairman and CEO of Alcoa, the world’s leading producer of primary aluminum, from 1987 to 1999 and retired as chairman at the end of 2000. His reign was extremely successful, as the company’s market value increased from $3 billion in 1986 to $27.53 billion in 2000, while net income increased from $200 million to $1.484 billion. Prior to joining Alcoa, O’Neill was president of International Paper Company from 1985 to 1987 and vice president from 1977 to 1985. He serves as a board member at the National Quality Forum, RAND, and more than a dozen other major corporations and nonprofit organizations. Paul O’Neill received a bachelor’s degree in economics from Fresno State College, studied economics at Claremont Graduate University in 1961 and received a master’s degree in public administration from Indiana University.